Whether you’re driving a Discovery or a Range Rover from the Land Rover line of cars, you know that your car needs special attention from auto mechanics who know what they’re doing. Rest assured that JW Auto Care, which serves the Scottsdale and Tempe areas, will provide top-of-the-line auto repairs for your Land Rover from our highly-trained and certified auto mechanics. 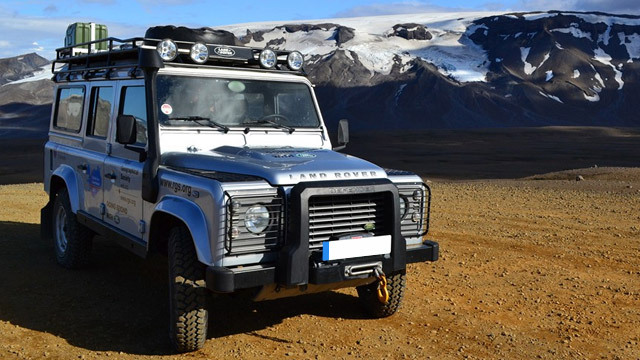 The auto mechanics at JW Auto Care use the most up-to-date tools and the latest techniques and technology to perform auto repairs on your Land Rover. We’re A+ rated with the Better Business Bureau and affiliated with ACDelco Professional Service Center, Bosch Service Center, and NAPA AutoCare Center. And we offer nationwide 3-year/36,000-mile parts and labor warranty on most repairs. You’ll have peace of mind when you come to JW Auto Care in Scottsdale. We’ll explain in detail all the repairs needed, the cost and your best options. We want you to be happy with the results, so we put in a 100 percent effort to get you back on the road. “I have taken all my vehicles to Johnny and his guys for years. They are thorough and professional. They always take the time to explain to me what's going on with my vehicle, what's urgent and what is not. This is key to the trust I put in them. They don't seem to be as interested in getting every dollar they can out of every job, as much as they seem interested in forging a long-term relationship with their clients. What more could one ask of his mechanic?? I highly recommend them and plan on using their services for the foreseeable future.” -- Jose V.
Whatever model Land Rover you drive, you can be certain that the auto mechanics at JW Auto Care in Scottsdale have your safety and comfort in mind and we will do our best to get you back on the road with your car in tiptop running condition as quickly as possible. For auto repairs and maintenance, call us or schedule an appointment online. JW Auto Care is located at 3011 N. 73rd St., Scottsdale, AZ 85251.